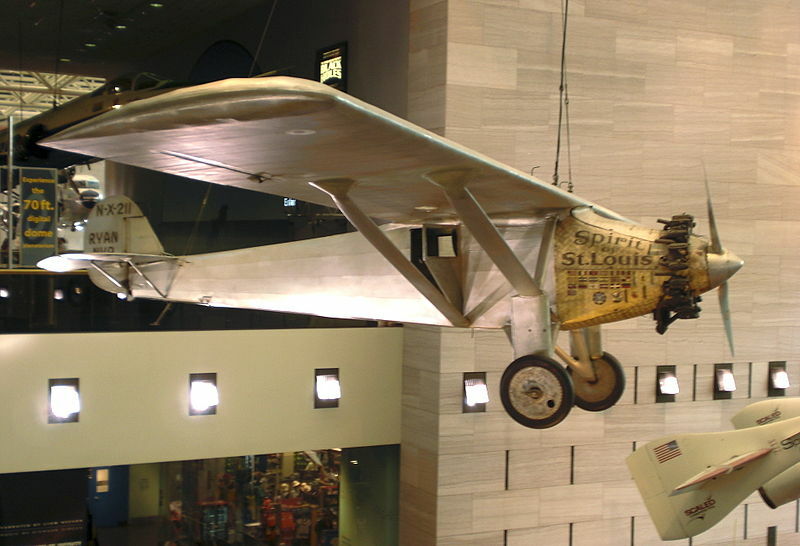 “The Lone Eagle” (or “Lucky Lindy”), Charles Augustus Lindbergh was born in 1902 (d. 1974). He is famous for the first solo, non-stop flight across the Atlantic. In 1927, he flew in the “Spirit of St. Louis” from New York, New York to Paris, France. He departed from Roosevelt Field on New York’s Long Island and landed at Le Bourget Field in France, a distance of nearly 3,600 statute miles. He took the private flight in a single-seat, single-engine monoplane. Charles Lindbergh was a U.S. Air Mail pilot who later used his fame to support the advance the Air Mail services in the United States and commercial aviation. Mr. Lindbergh was a retired U.S. Army Air Corps Reserve officer when he flew 50 combat missions in the Pacific Theater of World War II as a civilian consultant. President Franklin D. Roosevelt flew to Yalta on this day in 1945 in his presidential airplane Sacred Cow for a crucial summit with British Prime Minister Winston Churchill and Soviet leader Joseph Stalin. They discussed the surrender of Germany and the post-war Europe. The aircraft is designed to carrier-based operation. 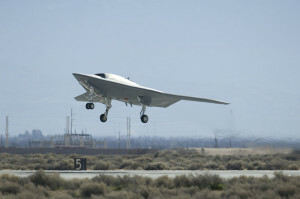 Northrop Grumman, the American global aerospace and defense technology company who developed the X-47B is headquartered in West Falls Church, Virginia (pre-2010 was headquartered in Los Angeles, California). The company was formed in 1994 when Northrop Aircraft merged with Grumman Aerospace. Both entities had been well-known in the airplane manufacturing industry. The Northrop Grumman X-47B flew the first flight in 2011 and was still undergoing testing as of 2013, expecting the battlefield-ready aircraft to enter service by 2019. The first test flight of the X-47B took place at Edwards Air Force Base located 100 miles northeast of Los Angeles, California. The aircraft had performed so well on the preliminary tests, the number of test flights was reduced. The aircraft X-47B has a maximum original fuel range of over 2,100 nautical miles (six hours) and is designed to demonstrate carrier launches and recoveries, as well as independent inflight refueling with a probe and drogue. 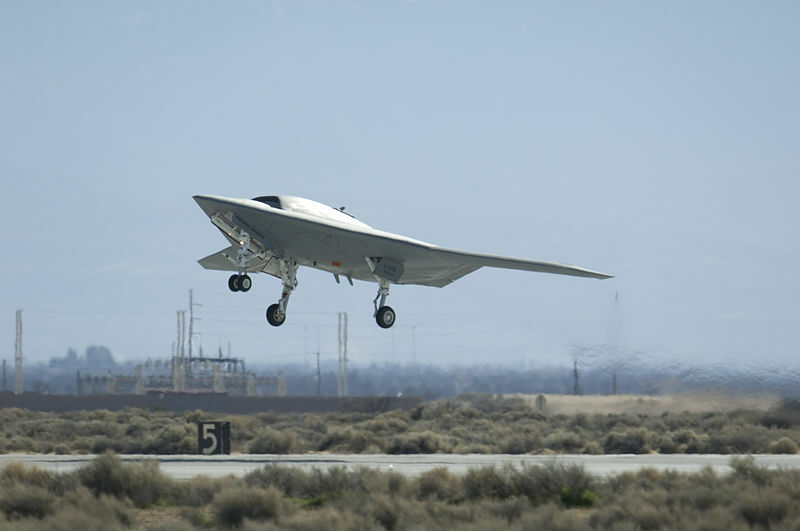 Aircraft First Takeoff at Edwards Air Force Base, California – Northrop Grumann X-47B.